The broken floppy was particularly annoying because I had just acquired a special cable to connect the floppy to the PC for transferring all my old disks. This was not yet in the age of Ebay where replacements even of vintage hardware are only a click away, but I was fortunate to have accidentially made contact with someone on Fidonet who wanted to sell his Commodore 128D, which I was able to buy for a more than reasonable price. 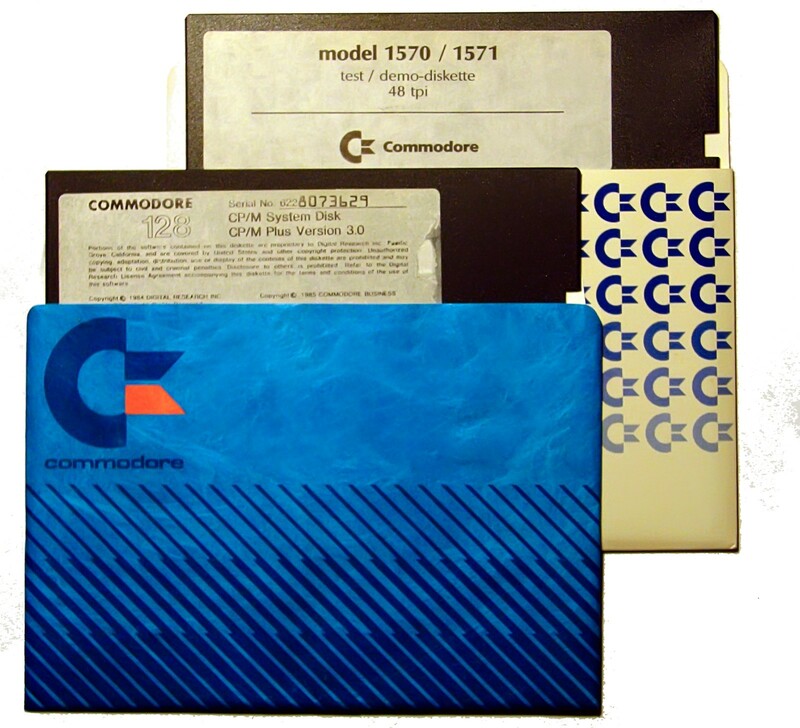 Instead of a simple floppy replacement, I suddenly had the most powerful 8-bit machine ever produced by Commodore. 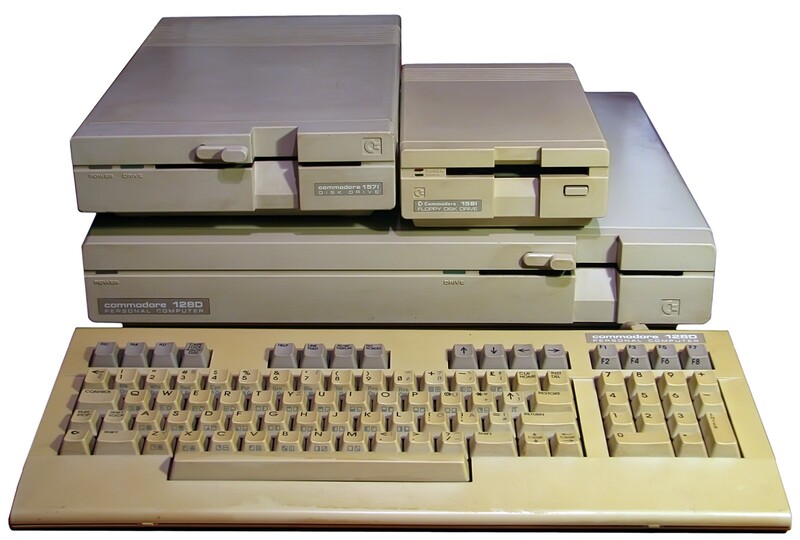 Combined with my 1581 3.5″ floppy, the C128D was an amazing machine and I did not use it solely for transferring disks. I didn’t have very high hopes for my first C128D, but when it arrived I was very pleasantly surprised. 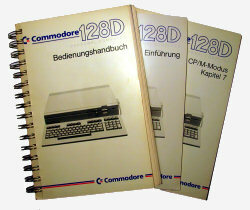 It didn’t come in the original box, but with a full set of German manuals and even the CP/M boot disks – the system was complete and, apart from some slight yellowing on the keyboard, the computer looked quite good. It was also an “enhanced” C128D with a Jiffy DOS floppy speeder built in and two additional switches in the front to change the internal floppy drive’s address, which came in very handy for booting CP/M from a 3.5″ disk. Despite having been obviously much in use, this C128D worked perfectly at the first attempt and continues to do so until today. The first thing I did with it was to transfer all my old floppy disks to the PC as backups, but later I also tried out some C128-specific software after I had connected it to my 1084S Monitor so I was able to use the 80-column screen. Later, when I had a WinTV card in my PC, i also discovered a way to connect the 40-column-display to my flicker-free PC monitors without having to use the fuzzy antenna output. This was especially useful in the early days when the emulators were not yet quite perfect and the original machine was still the best way to run the old software. This particular C128D remained my main 8-bit-machine until the early 2000s, when I discovered Ebay and set out to acquire some more of these Commodore computers I never had in the 1980s. 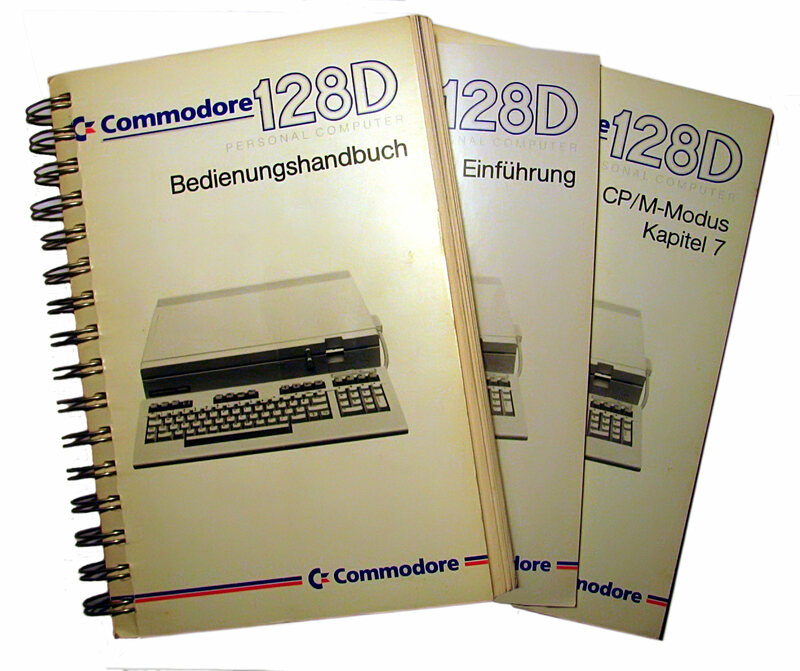 Originally, I just wanted to get two more C64, but then I discovered a very tempting auction of a C128DCR with metal case, an original C128 and the 1570 and 1571 floppy – which, to my surprise, I was able to get for just 35 Euro altogether. I did not expect too much from this bundle, but when the whole (very heavy!) package arrived, I was again pleasantly surprised: both computers worked perfectly except a slightly loose connection on the power connection of the C128 and certainly didn’t look their age. Because I had no real use for the C128, I decided to give it away together with the floppies and a joystick to a good friend who never actually had a Commodore computer, but I kept the C128D with the metal case and made it my new main 8-bit-computer. I chose the second C128D with the metal case because it had one difference: the plastic version had a very loud fan while this one didn’t, so it was much more pleasant to use. I only use it occasionally, but there are no heat problems and the power supply seems not to be overheating. The second version of the C128D was informally called C128DCR, with CR standing for Cost Reduced because of some inner modifications to make it more compatible for mass-production. The biggest difference is the part-metal case, which was supposedly introduced to bring the radio interferences under control which had prevented the release of the C128D in America, where the C128DCR was finally released in late 1986. The new case also did away with the carrying handle and the keyboard compartment under the computer, making the whole unit a little less bulky. While the first C128D had almost the same mainboard as the “flat” C128 with the floppy electronics on a separate board, the C128DCR has a redesigned mainboard joining everything on a single board – this caused a few technical incompatibilities, because some previously separately existing chips had been joined into one. But on the other hand, the VDC 80-column high-resolution video chip was included in an improved version with 64 kilobyte video ram, allowing for more graphics possibilities. Although the C128DCR is today considered as inferior to the original C128D, it is certainly worth owning and there are only very few programs, if at all, which have problems with the modified hardware. 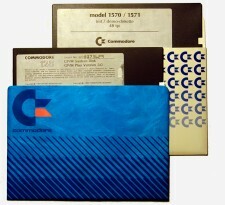 With the C128 and C128D, Commodore had released its last completely new 8-bit-computer. Although the various C128 incarnations were produced until 1991 together with the C64 and sold until much later, the Amiga had already long taken over as the successor and would be Commodore’s star computer until the company’s unfortunate demise in 1994. 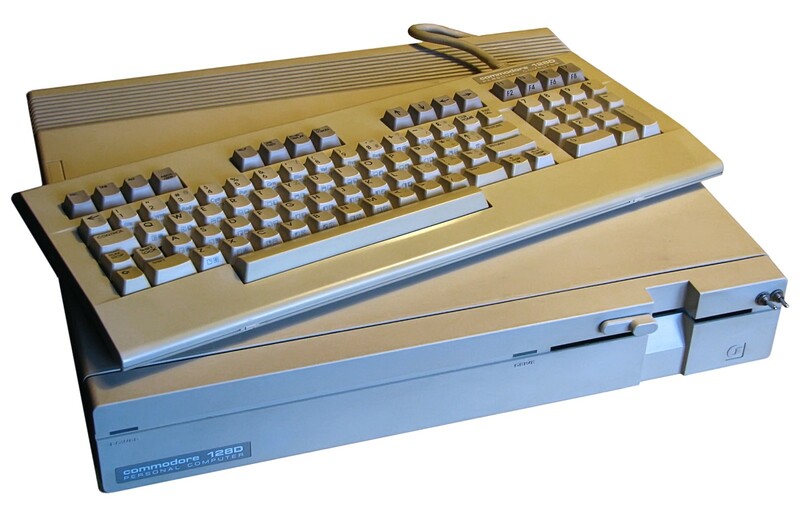 Before the Vintage Computing series is going from 8 to 16 bit, there will be a few more postings about the good old C64 and C128 era, namely about software, games and perhaps one post about additional hardware. But first the fun – I’ll probably take a week’s break and I think the next post will be about my favourite games from back then!